See What You Send™ is designed by Salvy the Florist, a family-owned florist in Lynn, MA (www.salvytheflorist.com). 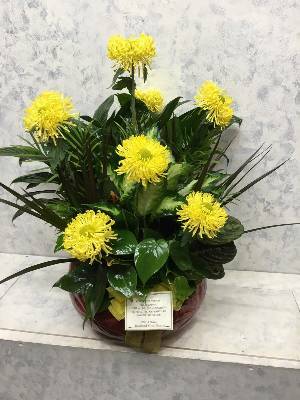 Salvatore Migliaccio Jr. decided people sending flowers, especially those purchasing on the Internet, might want to see a photo of the arrangement and have a chance to review his shop's work. He was right. The customer response was positively overwhelming and he realized the country's best florists might want to send photos, hear the opinion of customers, and have their own online florist review site. In 2012, he and a team of programmers designed the See What You Send™ mobile app for florists. Finally consumers have a chance to see their arrangements and let their voice be heard. We hope our local florist review site helps you make the right choice and that you'll tell everyone you know about our useful resource. Read the launch story in Salvy's local newspaper, the Lynn Daily Item. Chris Stacey, Owner, President: Chris is a software and mobile app consultant. Chris received his undergraduate degree from Columbia University in New York and his graduate degree from Rutgers, the State University of New Jersey. In addition to his consulting work, Chris is a professor at DePaul University in Chicago. Salvatore Migliaccio, Owner, Vice-President: The flower business for Salvy is a family business. Salvy learned from his father the fundamental values of hard work. His wife and two sons work alongside him in their three shops and they strive for excellence in customer service and technological innovation. Salvy helped design and build his custom website before e-commerce was a common term and consumer practice. Geoffrey Bradford, Owner, Developer: Geoffrey is an expert in a variety of programming languages and database applications. He received his undergraduate degree from the Rochester Institute of Technology and serves as a consultant to a range of business. Geoffrey has coded websites, databases, and mobile apps for both the iPhone and Android devices.